Click Domains on the left side of your website editor. Click the '+' symbol next to Custom Domain(s) to add a new domain name. Enter your domain name in the Domain field. Your domain must start with 'www' and be formatted as www.yourdomain.com. Click Save when you have added the domain name. Copy the CNAME record, which ends in ".b12sites.com". Click the purple Publish button in the upper-right corner of the website editor to publish the live website to your domain. You will now see your Weebly dashboard. Click Domains in the upper left corner. You will now see your Domains dashboard. 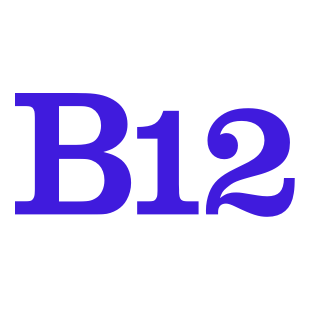 Select the domain you wish to point your new B12 website to. You will now see that domain’s configurations. Click Edit, in the DNS Records section. Write down Your.IP.Address in a safe place. Delete ANY A Record or CNAME by clicking the button to the left of it. CNAME: Host: “www” Points to: paste the CNAME record you copied from your B12 website editor. Ensure your DNS records look like this, then click Save. Please be aware that it may take up to 48 hours for DNS changes to propagate. As a result, your website may take up to 48 hours to be live on your domain. Note: If you want to publish to more than one domain, make sure you follow these instructions for each domain you want to use with your B12 website.